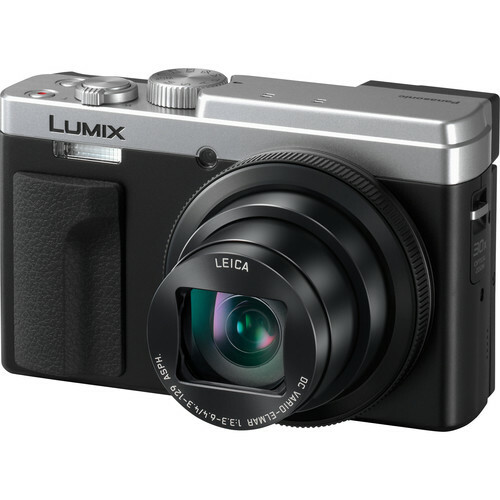 The Panasonic LUMIX ZS80 travel zoom digital camera boasts a 30x optical zoom (35mm camera equivalent: 24-720mm) and LVF (Live View Finder) all packed in a pocket-size camera body while enabling 4K Video /4K PHOTO shooting. A 3.0-inch tiltable rear monitor helps create a variety of selfie shots, including 4K and panorama. The LUMIX ZS80 also features a sharp 24mm ultra-wide angle and 30x telephoto LEICA DC VARIO-ELMAR* lens (35mm camera equivalent: 24-720mm) with a versatile zoom range to capture virtually any subject, in any situation.